Some corporations and lobbying organizations claim small shareholders (Chevedden, McRitchie/Young, and the Steiners) submit 40% of proposals, most fail and we are forcing companies to waste money. Actually, small shareholders are critical to democracy. 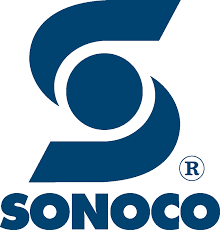 Sonoco Products ($SON) recently sought no-action relief from the SEC to omit a proxy access shareholder proposal by William Steiner. The Division of Corporation Finance denied their request. The 1% now owns as much worldwide as the 99%, so why should Sonoco limit shareholder proposals and presenters to the 2%? John Chevedden forwarded a report he received from on Apache’s annual meeting. No one spoke on the vote [ballot] items. I saw no press. The meeting length was 1.5 hours and well presented. There was a power point presentation by all three execs. Estimated attendance is 400 persons. I think mostly employees. Farris spoke the last words of his presentation and immediately shut it down. Took me by surprise. Not sure if anyone wanted to speak, it all happened so fast by their design. No one that I could see voted at the meeting. Houston-based Apache, which has shown little patience for its own investors, ended its annual meeting yesterday without taking any questions from shareholders. Apache has long embraced a 1950s-era approach to corporate governance, treating with disdain the very idea of shareholder input. Earlier this year, Apache hauled one investor into court to prevent him from filing a shareholder proposal. It prevailed in that case on a technicality. Perhaps Apache’s management – motto: give us your money and shut up – didn’t want to open itself up to angry owners. Local shareholder activist Harold Mathis, who owns Apache shares, said he planned to ask a question about the decision to sue fellow shareholder John Chevedden but he never got the chance. “They had no Q&A,” Mathis said. “They immediately closed the meeting after the company presentation.” They didn’t even validate investors’ parking. 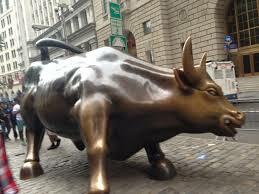 Ending the Wall Street Walk: Why Corporate Governance Now? What would you do if the company in which you’ve invested your hard earned dollars throws it away on fat retirement benefits to outside members of its board of directors? One individual investor, Richard Ayers, conducted a proxy battle this year with Nevada Power Company over the issue. Although he won more than 30% of the vote, individual investors and “ethical” funds face a Sisyphisian task in bringing change to today’s corporations. But dumping stocks is an easy short term solution that only compounds the short term investment horizon that plagues Wall Street. In many cases, this conventional wisdom may not only be wrong for the investor, the cumulative effect of such acts may also profoundly impact the quality of our products and environment, the treatment of employees, our balance of payments, and the well being of society-at-large. The real issue is often not last quarter’s balance sheet but the strategic direction of a company and the integrity of its management. Corporate governance, the nuts-and-bolts of how a public company fulfills its responsibilities to investors and other stakeholders, is oddly frequently overlooked in debates over corporate social responsibility. Despite its still relatively low profile, it’s where much of the real action is going on when it comes to positively changing corporate behavior. In 1932, Lewis Gilbert owned 10 shares in New York’s Consolidated Gas Company and found that his questions were ignored at the annual meeting. Lewis and his brother pushed for reform. Finally, in 1942, the Securities and Exchange Commission adopted a requirement that companies put shareholder resolutions to a vote under specified circumstances. In 1967 organizer Saul Alinsky, a Rochester based community organization, and several national churches turned to shareholder activism to target Kodak’s poor record of minority hiring. More recently, the social investment community has focused on high profile, public campaigns aimed at divestment of corporations involved in perceived social injustices such as involvement in apartheid South Africa, Dow Chemical, GM, or companies that operate in Burma. Although such shareholder actions have certainly had an impact, most won only a small fraction of votes. Progress has been made largely because targeted corporations wanted to minimize adverse publicity. Corporate governance actions spearheaded by huge, multi-billion dollar pension funds such as CalPERS, the California Public Employees’ Retirement System, and other large funds, changes the balance when such social concerns are seen as affecting share value. Their entry provides the foundation for the beginnings of a much larger degree of meaningful self regulation of businesses by owners. At the turn of the century, corporations were dominated by “captains of industry.” Carnegie, du Pont, Mellon, Morgan, Rockefeller, and others owned large blocks of stock and exercised direct control over their investments. “Agency costs” were not much of a problem because ownership and control were embodied in the same individuals. Corporations were accountable to their owners. Mark Roe, a professor of law at Columbia University, recently reexamined the historical evidence and concludes that our corporate system based on strong managers and weak owners is not the inevitable result of large scale production as Berle and Means assumed. Instead, it is the unintended consequence of political decisions which reflect the public’s dislike of concentrated financial power. 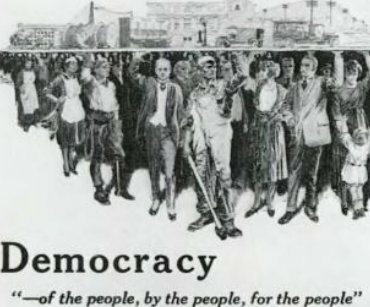 The framework of corporate democracy, much of which developed in reaction to the stock market crash of 1929, restored public confidence by subordinating finance to commerce and providing legitimacy for the otherwise uncontrollable growth of power in the hands of a few private individuals. The New Deal’s Glass-Steagall Act separated investment and commercial banking. Similar laws limited control of stock by insurance companies and mutual funds. Together, they insured that financial institutions could not easily control industry, but they also restricted collective action. Although these reforms may have saved us from the real evils of concentrated wealth and power in the finance sector, they had the unintended result of ensuring that management of America’s corporations would soon be accountable to no one. 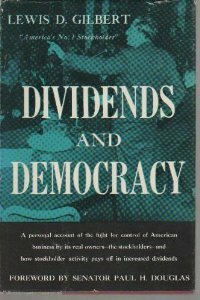 The framework of corporate governance set up in the aftermath of the 1929 crash has the appearance of being democratic (one share, one vote) but lacks basic mechanisms to carry out more than an illusion. This rather dry history has been overtaken by a series of high-profile, hot button debates swirling around the role of the corporation in society. Issues of corporate governance — junk bonds, corporate takeovers, downsizing, executive pay, the rise of pension funds– are discussed daily in the press. So what has changed and how can it lead to more effective and responsible, corporate leadership? In the 1960s, empire building by CEOs led to a kind of merger madness, as conglomerates gobbled up unrelated companies. When many of these conglomerates lagged in price in the 1970s, it heightened the realization that CEOs needed oversight. Accountability, of a sort, came in the 1980s when corporate raiders using “junk bonds” took many companies private, disassembled them and sold them back to the public in parts. The results to employees and communities were often devastating in the form of plant shutdowns and lost jobs. While workers and communities struggled with massive layoffs, CEOs invented golden parachute severance packages and designed poison pills which made takeovers less attractive through stock dilution mechanisms which hit new shareholders. By the late 1980s, a backlash set in. The “junk bond” market imploded, and an irate public and corporate boards began to demand a more active role in corporate governance. They recognized that their intervention could soften the impact of corporate restructuring on workers, communities, operations, and profits. These developments led to the modern field of corporate governance which examines the legal, cultural and institutional arrangements that determine the direction and performance of corporations. Practitioners include: (1) the shareholders, who usually hold one vote per share of common stock owned, (2) the board members, whom shareholders elect, and (3) the management of the firm, which is usually headed by a CEO appointed by the board. 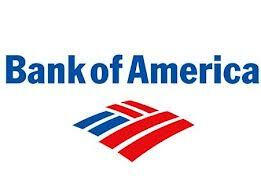 Other participants include advisors, creditors, employees, customers, suppliers, government and its citizens. Each party can influence the firm’s direction. Between 1955 and 1980, the institutional investor share of outstanding stock rose from 23% to 33%. In 1990, it had risen to 53% and now stands at more than 60%. Pension funds, as a subset, experienced even more rapid relative growth. Their share of the market rose from 0.8% in 1950 to 9.4% (1970), to 18.5% (1980), to 28% (1990) and stands above 30% today. This shift has set the stage for the rise of a subtler form of corporate governance which has yet to be fully realized. Instead of waiting for corporate raiders to impose dramatic changes through hostile takeovers, pension funds have the opportunity to become long term “relational” investors, working with boards and CEOs to make needed adjustments earlier and less painfully. Corporate governance would then move from revolutions and palace coups to the smoother transitions characteristic of democratic governments. While legal impediments largely preclude mutual funds, insurance companies, and banks from holding large blocks of stocks, fewer such prohibitions apply to pension funds. Most pension funds are free to hold blocks of stock large enough to make monitoring of management feasible, from a cost-benefit standpoint. In addition, the Department of Labor, which governs most pension funds under the Employment Retirement Securities Act (ERISA), has clarified that voting rights are plan assets. It is, therefore, the duty of pension fiduciaries (trustees) to ensure such assets are voted solely in the interest of plan participants and beneficiaries. Unlike individual investors who can just throw their proxies away, pension funds are legally required to follow the issues of corporate politics and to vote. Ideally, pension funds, who have predictable payouts, should be taking a long term investment time horizon and should be urging the firms they invest in the to do the same. The growth of pension funds dramatically increases the capacity of the financial community to identify and redress agency costs, since they bring the possibility of sophisticated monitoring by professional analysts. Unlike other institutional investors, pension funds have nothing to sell their portfolio companies and no intrinsic interest in acquiring operating control. The California Public Employees’ Retirement System involvement with corporate governance issues can be traced back to a morning in 1984. Jesse Unruh, then treasurer of California and a CalPERS board member, read that Texaco had repurchased almost 10% of its own stock from the Bass brothers at a $137 million premium. Essentially, Texaco’s management paid “greenmail” to avoid loss of their jobs in a takeover. CalPERS was also a large shareholder but, of course, was not given the same option of selling its stock back to the company at a premium. Unruh quickly organized a powerful shareholder’s rights movement with the creation of the Council of Institutional Investors (CII — composed mostly of pension funds) to fight for equal and fair treatment of shareholders, shareholder approval of certain corporate decisions, and needed regulatory reforms. CalPERS has $100 billion in assets, serves 1 million members and is administered by a 13 member board. Six are elected by various membership groups; the others are either appointed by elected officials or serve by virtue of their elected office. In contrast to the short time frame of most institutional investors, CalPERS takes along-term perspective. Their average holding period ranges from 6 to 10 years. CalPERS equity strategy consists of making long-term investments so it can be in a position to influence corporate governance. Many pension fund managers, subject to the “star” system on Wall Street, actively manage their funds with hopes of beating the market. But recent studies have shown that active management is not cost effective. After factoring in fees and turnover expenses, “indexing” – owning a representative share of a particular market – is the best strategy for most pension funds (as well as for most individuals through low-cost index funds such as those offered by Vanguard). CalPERS targets poor corporate performers in its portfolio and pushes for reforms. These range from firm specific advise, such as arguing a few years ago that Sears and Westinghouse should divest poorly performing divisions and redefine their strategic core businesses, to more general advice. For example, CalPERS believes most firms need to expand employee training and shared managerial authority with lower level employees. Although CalPERS must often bear the full cost of monitoring, and other shareholders get a “free ride,” the sheer size of its investments makes such monitoring worthwhile. A 1995 study by Steven Nesbitt, Senior Vice President of the consulting firm of Wilshire Associates which was under contract with CalPERS, examined the performance of 42 companies targeted by CalPERS. It found the stock price of these companies trailed the S&P 500 Index by 66% in the five year period before CalPERS acted to achieve reforms. The same firms outperformed the Index by 52.5% in the following five years. A similar independent study by Michael P. Smith (with Economic Analysis Corporation, Los Angeles) concludes that corporate governance activism has increased the value of CalPERS’ holdings in 34 firms over the 1987-93 period by $19 million at a monitoring cost of $3.5 million. CalPERS’ investment strategy is hardly typical. Most institutional stock owners are adopting shorter and shorter time horizons, evaluating companies on a 1-3 year time frame, rather than the longer term outlook of CalPERS. The average holding period has declined from more than 7 years in 1960 to about 2 years today. The result has been an increase in transaction costs. In 1987, for example, $25 billion was spent on stock trading in the U.S. That is an amount equal to one-sixth of corporate profits or 40% of dividends that year. Money managers have shifted the emphasis of capital from long-term investments to making a quick buck. Although CalPERS has been active in corporate governance, most pension funds are not. While some progress is being made, the Department of Labor reports that only 35% of plans which delegated voting authority could provide evidence that they performed substantive monitoring of how their investment managers carried out proxy voting. But its no wonder plans don’t monitor; the Department has never taken an enforcement action against a fund for their failure to properly monitor voting decisions. Most pension funds exist in a culture of “blame avoidance” built around the legal concept of “prudence.” Although portfolio theorists generally agree that 99% of the risk management value of diversification can be achieved with a portfolio of only 100 stocks, pension plans continue to over diversify. While the aggregate holdings of institutional investors now stand at more than 60%, the holdings of individual institutional investors in individual companies rarely exceeds 2% and tends to be in the 0.1% to 1% range. Since the holdings of most pension funds are not nearly as large as those of CalPERS, they would derive similar benefits from active corporate governance only if they consolidated their holdings into larger blocks to make monitoring cost effective. If more pension funds would follow CalPERS’ lead, accountability might finally make its way into the boardroom. That would be a healthy development for investors, companies, employees and the environment. For example, it is widely accepted that employees in “knowledge” industries, such as computer software, hold the key to additional wealth generating capacity in their training, skills and information networks. Margaret Blair, a Senior Fellow at Brookings Institution,points to evidence that this is true not only in Silicon Valley but for most industries in the United States. Blair calculates that tangibles, such as property, plant and equipment, accounted for 62% of the total value of mining and manufacturing firms in 1982 but only for 38% in 1991. The value of intellectual property has risen dramatically as workers have become more educated. More democratic and flexible workplaces make fuller use of employee capacities and yield tangible economic benefits. Yet managers faced with a potential loss of status and power have been slow to change. A 1986 study by the National Center for Employee Ownership found firms with significant employee ownership and participation in decision making grew 8 to 11% faster than their counterparts. A year later the General Accounting Office found that such firms experienced a 52% higher annual productivity growth rate. Findings, such as these, led CalPERS to advocate employee training and shared managerial authority. Similar findings linking “social responsibility” to the bottom line have led TIAA-CREF (a cooperative pension fund for educators) to push for more women and minorities on boards. Corporations have a profound effect on the quality of our environment and our lives. If they were governed and operated more democratically the influence they have on other social institutions such as government, education and even the family could be expected to change in a positive direction. What measures can be taken to bring about more genuine democratic corporate governance? Perhaps the most important are in the area of corporate elections. Corporate board elections are about as democratic as old-style communist regimes: they talk the talk but don’t walk the walk. A 1991 study found that over 80% of board candidates were filled by CEO recommendations. Until 1992, when the SEC revised its proxy rules under pressure from CalPERS, CII, and others, shareholders could not even communicate with each other without going through elaborate and expensive filing procedures. Serious obstacles to communication remain. Filing is still required whenever a voting group owning 5% or more, in total, agree to vote together. In addition, most votes are only advisory and access to shareholder lists is limited. Management controls the proxy machinery. Since proxies are normally voted well in advance of the annual meeting, they can find out how shareholders vote. Many money managers, who act as investment and voting agents for fiduciaries, have business relations with the management of firms holding elections. They are not required by law to maintain written records of how they voted on behalf of their clients, so they are likely to change their vote, if requested by management. In addition, unvoted proxies are often counted in favor of management. Institute proxy reform measures, especially for confidentiality in collection, independence in tabulation and uniform treatment of votes and abstentions. Change the definition of a “voting group” so that shareholders who are not seeking to control a corporation can freely communicate with each other. Allow groups of investors holding at least 10% of outstanding shares access to proxy statements to nominate at least one independent director and to present other non-control related proposals to shareholders. Require investment companies, banks and insurance companies to meet the same fiduciary standards for the voting of proxies as pension funds under ERISA. Require ERISA trustees to keep records to demonstrate they have acted for the exclusive benefit of plan participants in their voting and governance actions. Ensure pension funds are voted solely in the interest of plan participants and beneficiaries through enforcement efforts. Clarify, through administrative guidance, that diversification standards under ERISA do not require investment in hundreds or thousands of stocks; prudence is to be evaluated on a portfolio-wide, rather than individual investment, basis. Require trustees of employee stock ownership plans to vote unallocated shares in the same proportion as employees vote. Blair, Margaret M., Ownership and Control: Rethinking Corporate Governance for the Twenty-First Century, The Brookings Institution, 1995. Denham, Robert and Michael Porter, “Lifting All Boats: Increasing the Payoff From Private Investment in the US Economy,” Report of the Capital Allocation Subcouncil to the Competitiveness Policy Council, Washington, DC, 1995. Hawley, James P. and Andrew T. Williams, “Corporate Governance in the United States: The Rise of Fiduciary Capitalism a Review of the Literature,” Saint Mary’s College of California, Moraga, 1/31/96. Monks, Robert A.G. and Nell Minow, Watching the Watchers; Corporate Governance for the 21st Century, Blackwell Publishers Inc., Cambridge, MA, 1996. Roe, Mark J., Strong Managers, Weak Owners: The Political Roots of American Corporate Finance, Princeton University Press, Princeton, NJ, 1994. Project Report,” Washington, DC, 2/23/96. Thanks, to Jon Entine for several suggestions to the above article. For an example of Jon’s work see, The Messy Reality of Socially Responsible Business. An edited version of “Ending The Wall Street Walk: Why Corporate Governance Now?” appeared in the September/October 1996 edition of At Work [email protected], by Berrett-Koehler Publishers. The issue also carried several articles on ethical investing and corporate accountability/responsibility. For more current news and commentary, see corpgov.net/news. All material on the Corporate Governance site is copyright ©1995-1997 by Corporate Governance and James McRitchie except where otherwise indicated. All rights reserved.